In anticipation of the global IMAX release of Warner Bros. Pictures’ Fantastic Beasts and Where to Find Them beginning the weekend of November 18, IMAX and Warner Bros. Pictures today announced that all eight Harry Potter franchise films will screen for the first time in domestic IMAX locations for an exclusive one-week engagement beginning October 13. The event, which will build on the growing excitement surrounding J.K. Rowling’s Wizarding World franchise, marks the first time both Harry Potter and the Sorcerer’s Stone and Harry Potter and the Chamber of Secrets will be digitally re-mastered into the immersive IMAX® format and released in IMAX® theatres. Kicking off the weeklong Harry Potter franchise engagement will be a global fan event on Oct. 13 celebrating the upcoming release of Fantastic Beasts and Where to Find Them. Fans attending the event at select IMAX theatres in the U.S. and internationally will be treated to a never-before-seen reel from the much-anticipated new film, as well as in-person appearances by talent from the film at two IMAX locations in London and Los Angeles, a live Q&A and more. 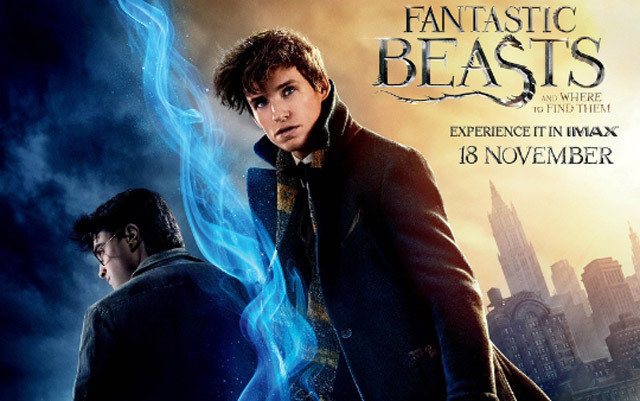 The Harry Potter engagement will screen in IMAX® 2D and also feature additional content from Fantastic Beasts and Where to Find Them, including the exclusive reel from the fan event and specially recorded greetings from star Eddie Redmayne and other talent. To date, the Harry Potter franchise—which collectively, among the last six films, has grossed approximately $216 million in IMAX theatres worldwide—stands as one of the most successful film series ever released in IMAX. In addition to the first two films in the franchise (mentioned above), the remaining installments include (in order): Harry Potter and the Prisoner of Azkaban, Harry Potter and the Goblet of Fire, Harry Potter and the Order of the Phoenix, Harry Potter and the Half-Blood Prince, and Harry Potter and the Deathly Hallows – Parts 1 & 2—all of which received an IMAX release. “Harry Potter is one of the most beloved film franchises of all time and is incredibly important to the history of IMAX. Therefore, being able to offer each installment—especially the initial two for the very first time in IMAX—makes this a truly magical event for fans,” said Greg Foster, CEO of IMAX Entertainment and Senior Executive Vice President, IMAX Corp.
Tickets will be available by means of four separate admission packages: Single Ticket; Day Access (admittance to three or more shows in a single day); Four-Show Access (admittance to four shows any time, any day); and Festival Access (unlimited admittance throughout the event). Packages offered and pricing may vary by theatre.